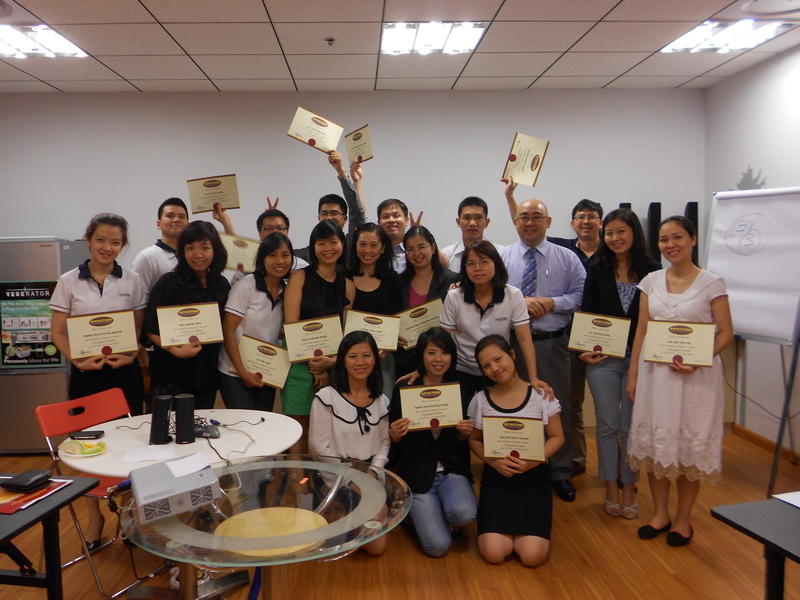 Congratulations to all of the participants from CapitaLand who have completed Delegation Skills Course from SPECTRA on 15 & 16 May 2013! 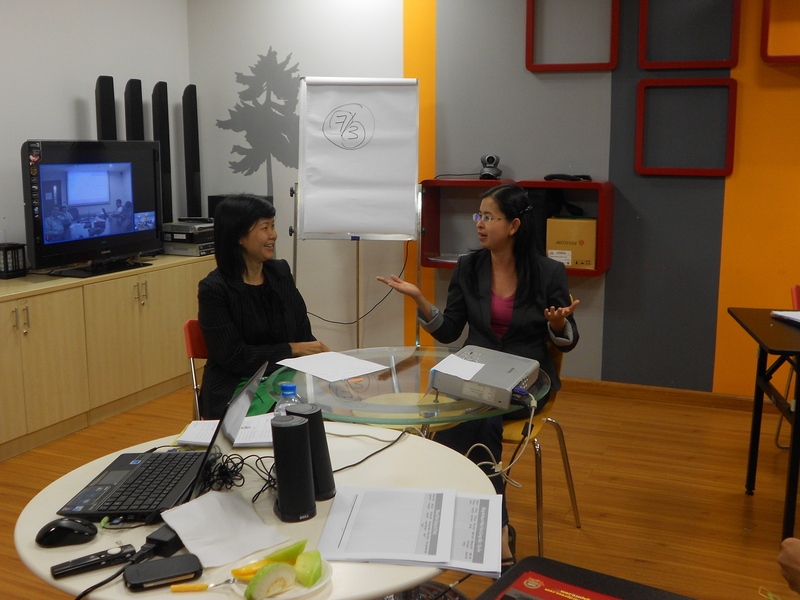 After the success of Time Management training in early May, FPT Trading continues to choose SPECTRA as its training partner. 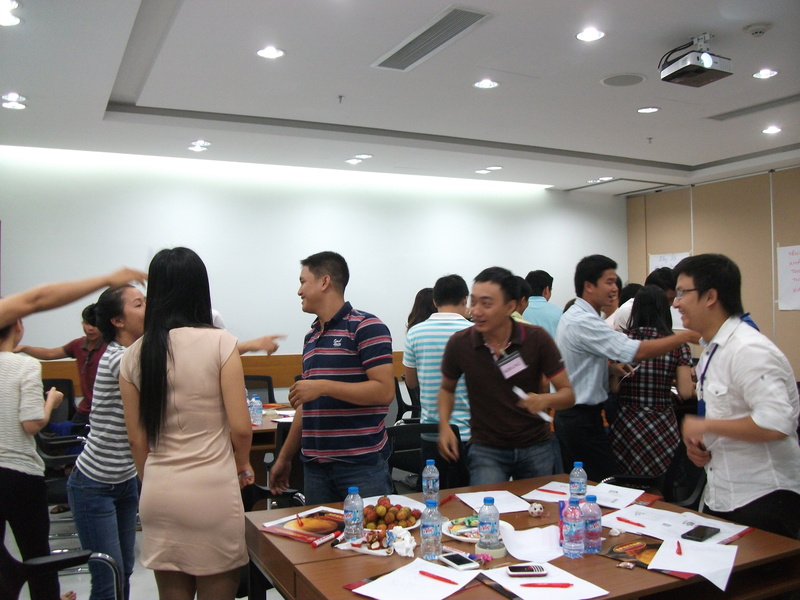 On 15 May 2013, FPT cooperated with SPECTRA to conduct Effective Teamwork Training. 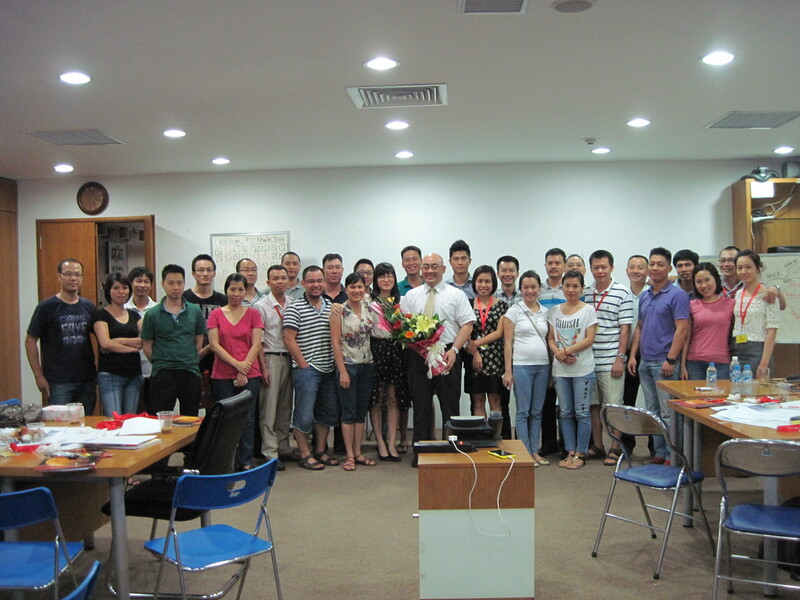 On 4 May 2013, FTG cooperated with SPECTRA to conduct Time Management Training. SPECTRA is proud to be chosen by FTG as its training partner. We regret to inform that we will delay the Marketing course. This is due unforeseen circumstances. 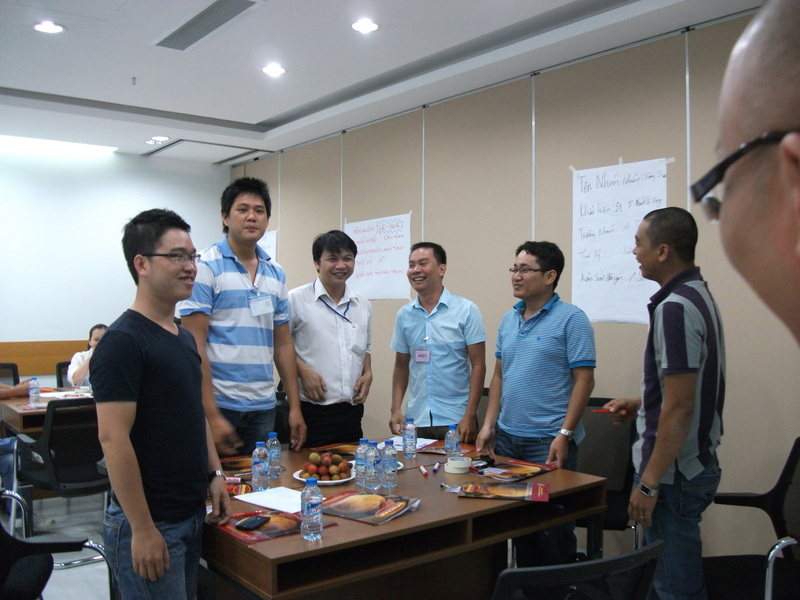 The training will start on 28 October 2013. 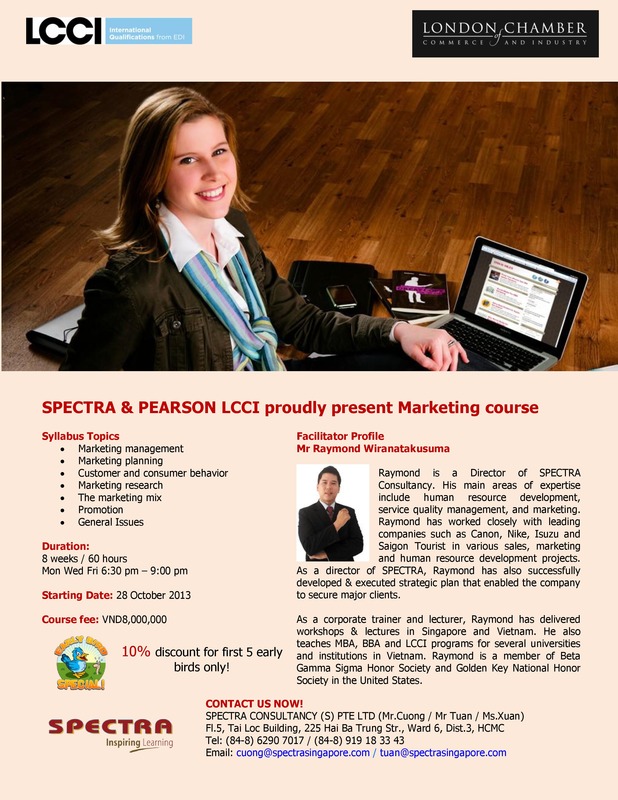 SPECTRA & Pearson LCCI cordially invite you to register and attend the LCCI Essential Personal Training 2013. 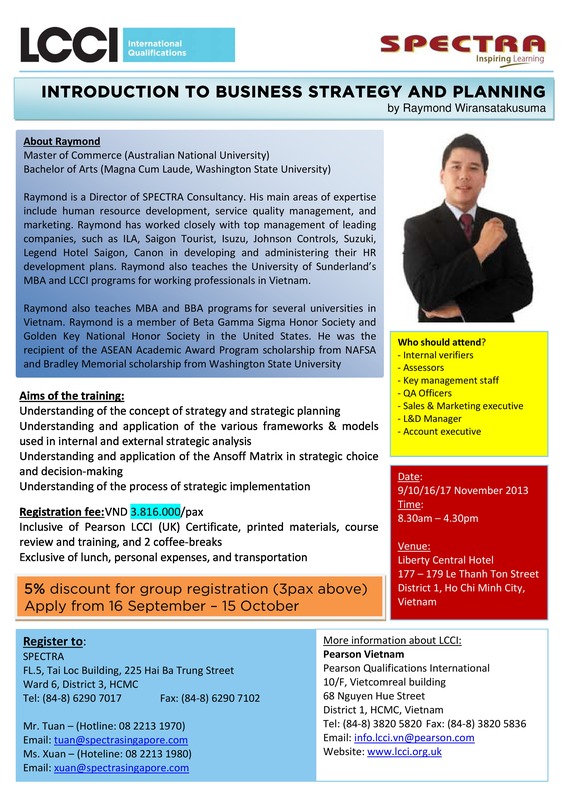 Please find below link for more information.